WE SHIP CUSTOMS-FRIENDLY WORLDWIDE !!!! Kirkland Signature Fast Acting Lactase Natural Dairy Digestive Supplement 360 Caplets in Single Serve Pouches Compare to Lactaid® Fast Act* Twice as fast as Ultra. Fast Acting Lactase Supplement helps PREVENT symptoms associated with Lactose Intolerance (including GAS, BLOATING and DIARRHEA) that many people experience after eating dairy products. 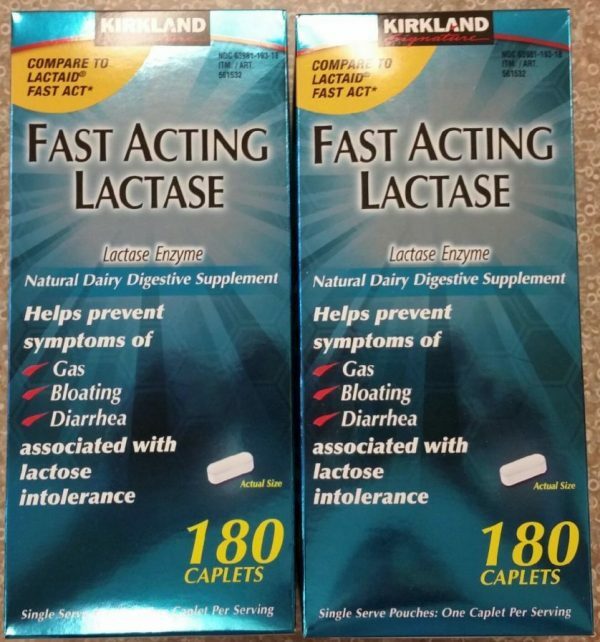 How does Fast Acting Lactase Supplement work? By breaking down lactose (milk sugar) it helps make dairy foods easier to digest and helps to prevent uncomfortable symptoms. This product is a dietary supplement which contains natural lactase enzyme. It is NOT A DRUG. May be used by everyone ages 4 years and up. 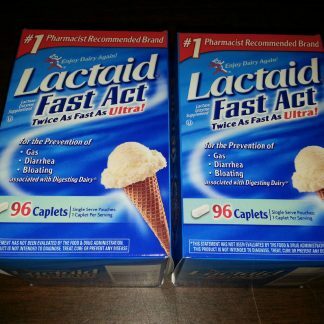 Why is Fast Acting Lactase Supplement better than Ultra? Because it goes to work quickly, more lactose (milk sugar) can be broken down overall. 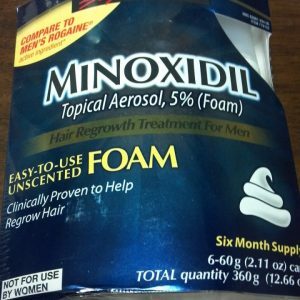 This product begins to work more than TWICE AS FAST as Ultra strength products previously available. Dosage is the same convenient single pill as Ultra. How often can you use Fast Acting Lactase Supplement: You can use this product before every meal or snack containing dairy every day. How do you use Fast Acting Lactase Supplement? Take 1 caplet with your first bite of foods containing dairy. You may increase the dosage to 2 caplets at one time if necessary. After a period of 30-45 minutes, if you continue to eat foods containing dairy, it is recommended to take an additional dose of the product. Supplement Facts: Serving Size: 1 Caplet Amount Per Caplet – % Daily Value: Sodium 5 mg – <1%, Lactase Enzyme 9000 FCC Lactase Units - . Other Ingredients: Corn Starch, Dibasic Calcium Phosphate, Calcium Carbonate, Sodium Starch Glycolate, Crospovidone, Colloidal Silicon Dioxide, Magnesium Stearate. Sodium 5 mg and Calcium 80 mg per caplet. 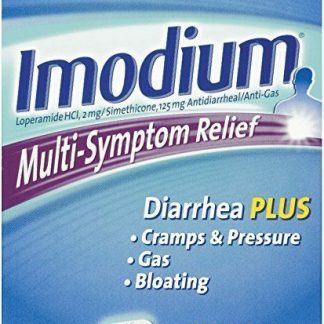 Consult your doctor if our symptoms continue after using this product or if your symptoms are unusual and seem unrelated to eating dairy. Keep out of the reach of children. 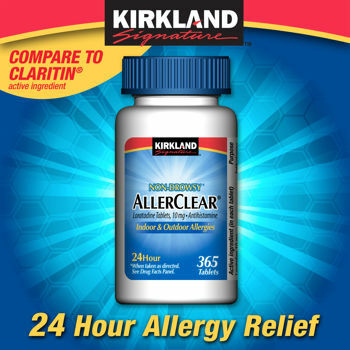 *This product is not manufactured or distributed by McNeil Nutritionals, distributor of LACTAID® FAST ACT. Notice: Individual results may vary. 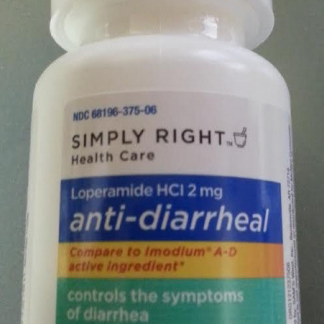 You should always consult with your physician before starting this product or any health-related program. Disclaimer: The product descriptions and the statements on this page are from manufacturers and/or distributors and have not been evaluated by VitaSprings or the FDA. These products are not intended to diagnose, treat, cure, or prevent any disease. VitaSprings does not imply any medical claims from the customer reviews on this Fast Acting Lactase product on this website.